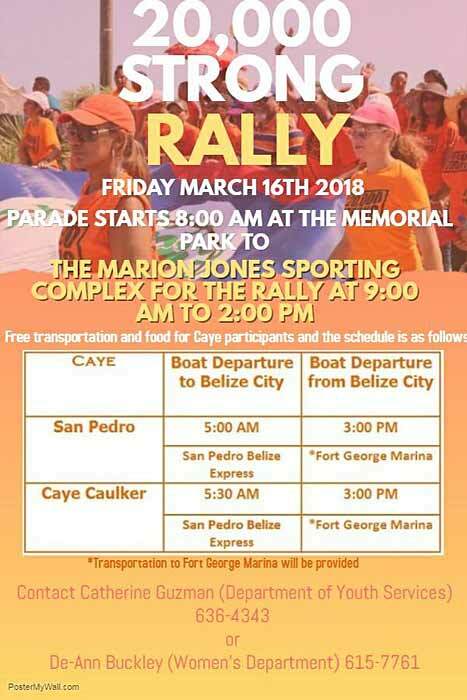 Friday March 16, parade starts 8am at the Memorial Park to The Marion Jones Sporting Complex for the Rally at 9am-2pm. 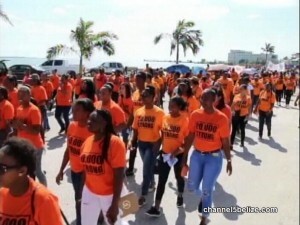 The 20,000 Strong Women’s Empowerment Rally kicked off from the Memorial Park with a parade – led by students and marching bands, backed up by representatives of organizations and businesses. It’s the third staging of the rally – and the symbolic orange t-shirts were on full display as they made their way along the Marine Parade and onto the Newtown Barracks and then into the Marion Jones Sporting Complex. It wasn’t quite the twenty thousand and may be quite way off from there – but what they lacked in numbers, they made up for in spirit. 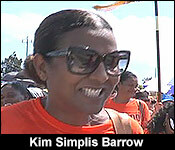 Kim Simplis Barrow says today is about the message. 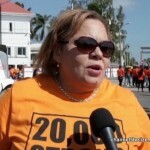 Women from all over the country are here to press for progress, including Viannie Montero of the Atlantic International Bank and Minister Tracy Panton. 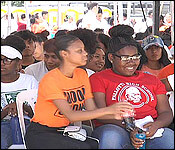 While women led the charge today –men and boys were out to lend their voice to the empowerment gathering. And they are here not just to make up numbers. 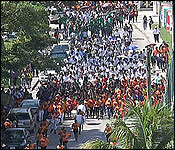 In 2014, the Office of the Special Envoy for Women and Children organized the first every 20,000 Strong Women's Empowerment Rally. The message was clear then: women from all over coming together to celebrate their value and collective strength. 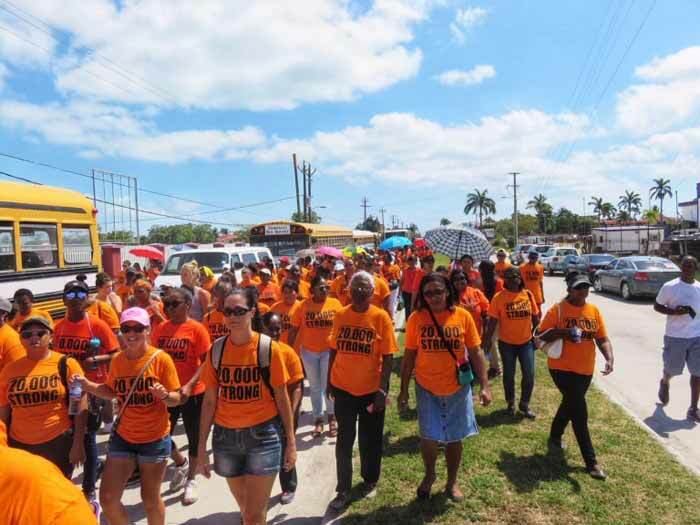 Today - four years later - the messaging is not so clear - because many ask what an empowerment march can do when women and children are being killed in the street. "It's evident today with the amount of people, the amount of schools that came out today that we are united, that we are determined to combat what it is that's crimpling our country. The violence has got to stop and it is up to each one of us to make a difference. So today I am proud. 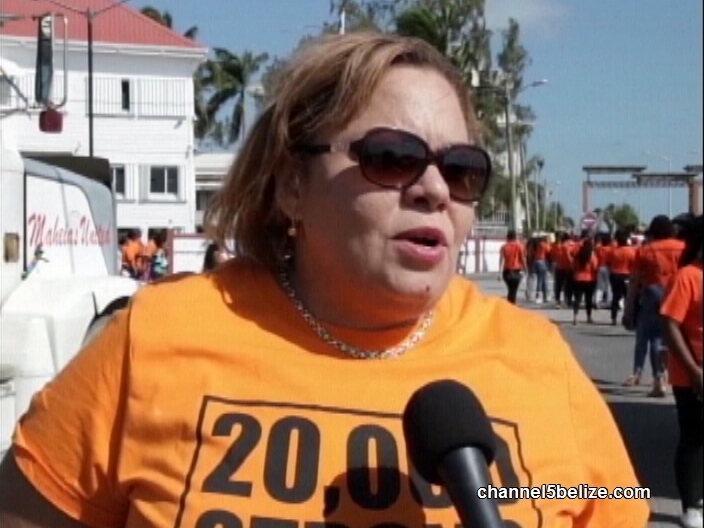 I am standing with each woman and child, boy that is out here today." "A critic would say but it is indeed a lot of students but its only students and its mandatory involvement. I counted 5 hundred consensual like adults who you could say woke up and put on the orange shirt. It's mostly students and we know students are mandatory involvement. 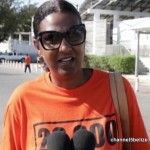 Is that an indication that there is less public appetite to engage in this 20,000-strong march?" "I don't know how to answer that. Whoever is out here is marching for a purpose, for a cause. If people want to come out that is great. If they don't then..."
But those who did come out in Orange, were really feeling it, marching and stepping with messages that had real time resonance. And so, while the VIP's like the Prime Minister's wife and the Speaker of the House beside her had something to clap about - is it the sound of one hand clapping? "People are losing hope - we all have to rise up and do. We can't just sit back and just expect a group, one small group of people to do. We all make a difference. We all have to report crimes. We know who the criminals are, report them. Go to the police, help the police out and again the police need to do their job. They need to gather evidence. 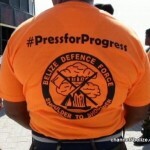 They need to present a case to the DPP. 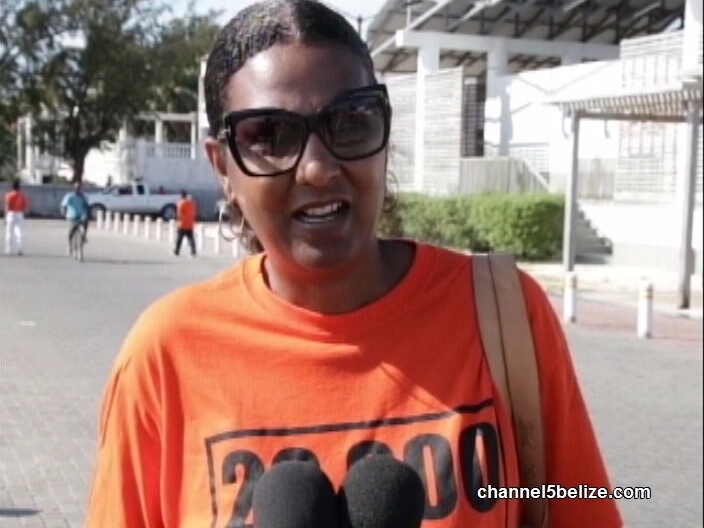 The DPP needs to do her job. The judges need to do their job. It's not just one person. It's all of us, it's a community." Inside the Marion Jones at the rally the focus was on a message from young girls. "It is no secret that women and girls have been deprived of basic human rights for thousands of years beyond and not being able to vote, get a loan, own a business, or take up leadership positions worldwide. Women have had to deal with issues such as limited access to education and health care, gender base violence, stigma and discrimination, sexual harassment and the list goes on." And beyond the close listening, and the courteous ovation from the VIP section, we saw real women here - younger and older and, real feeling - sisterhood, you might say. "Today I say sisters if you want something go for it. If you are willing to put in the work, no dream is out of reach. You have limitless potential, freedom of choice and there is no one formula for how we as woman should live our lives." 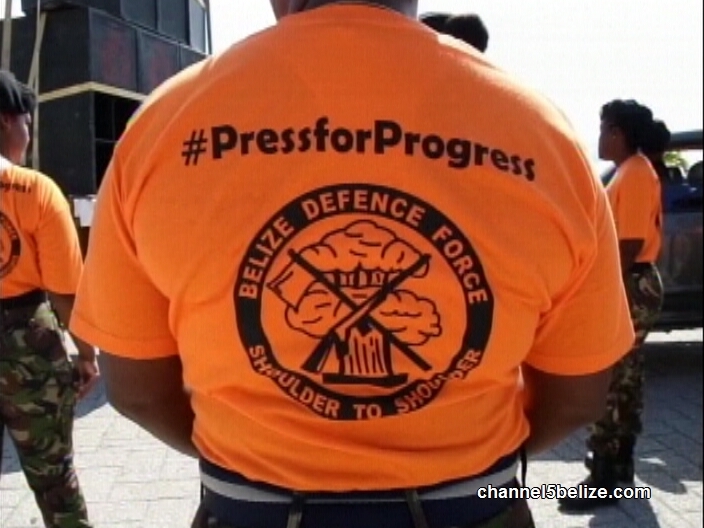 The Rally was organized under the theme: "Nurturing the Next Generation" #PressforProgress. 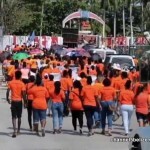 The event was organized by Kim Barrow's Office, in partnership with the National Women's Commission, the Women's Department, UNICEF Belize, The US Embassy and the Ministry of Human Development, Social Transformation and Poverty Alleviation. 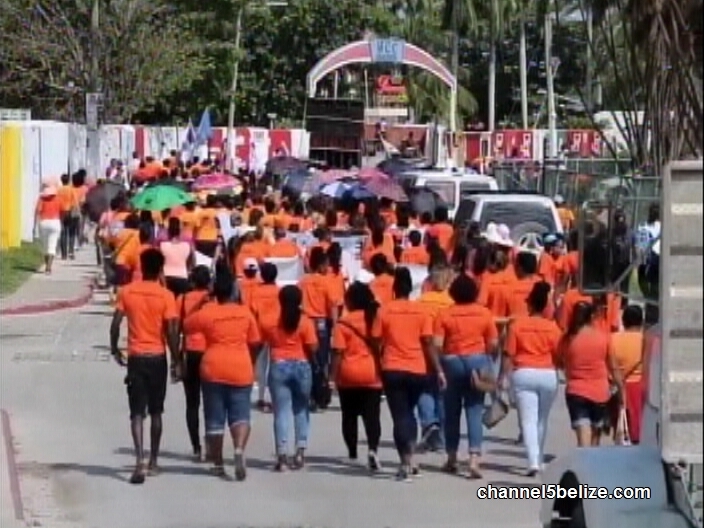 Yesterday, women and children from every district in Belize woke up before dawn to fly, drive, bus and walk to march for equality. To come together and show our country that we have a voice, that we are not passive, that we should not live fear – that we will not take discrimination, bullying, violence and abuse lying down. 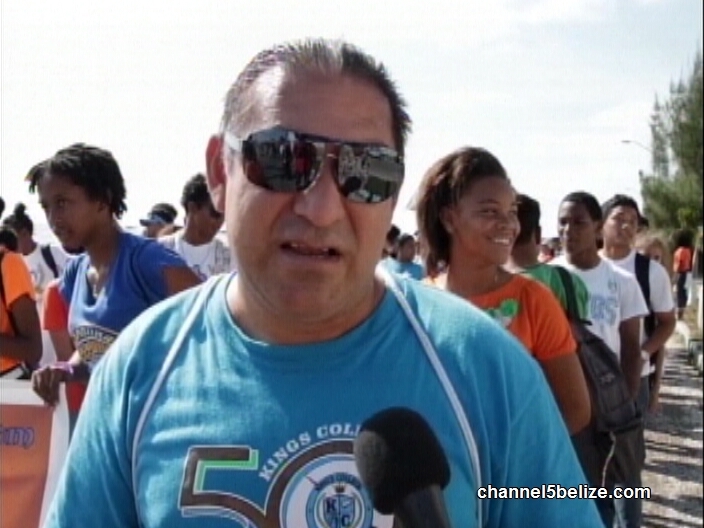 That the women of Belize deserve equal education and healthcare opportunities as men. It was absolutely breathtaking and beautiful. I started crying too many times. Thank goodness for sunglasses. 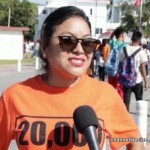 And then I read the Belize news…questioning the size of the rally, wondering if the school children (who made up the majority of the 1000s of marchers) were “roped into” the rally and asking if “the message and the symbolism of today’s event is relevant to the serious times we live in”? I can’t even word how dismayed that makes me. Angry. And shocked. How dare they make those kids feel bad about it…attempt to make us feel like we all wasted our time?